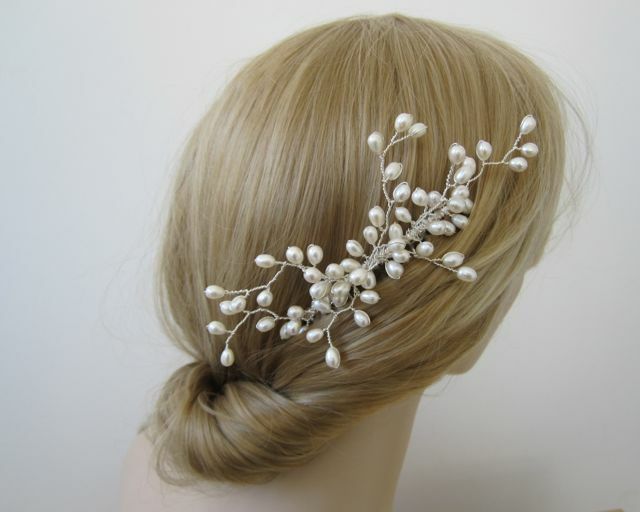 Looks fabulous worn at the side or the back of the head. 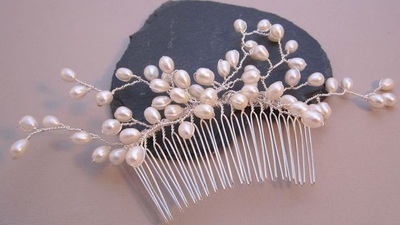 Can be worn on the front, side or back of the head, and is available on a band or on a comb. 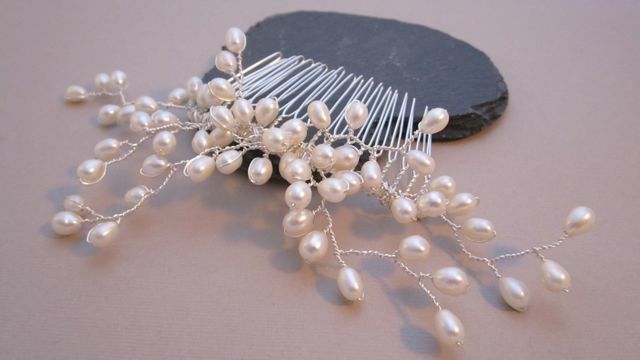 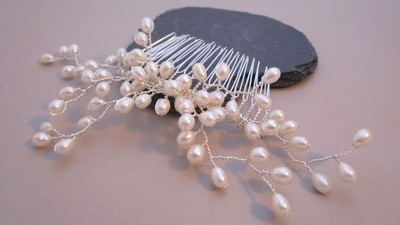 You could add a few branches containing a soft pastel accent colour or some crystals to personalise this piece. 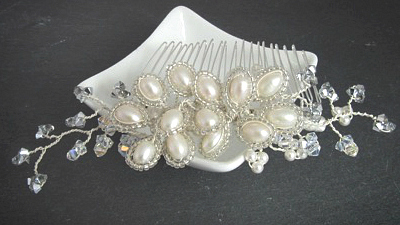 MADE TO ORDER – The Freya comb is custom made to order. 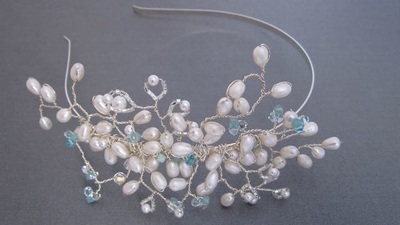 Contact me if you would like this on a headband.